I absolutely love meeting authors, but unfortunately for one reason or another, I don’t do it as often as I’d like – that reason is usually because meetups and discussions usually happen in big UK cities like London and Birmingham, which are far from next door, and it’s thoroughly impractical. I swear though, if I lived in a city, I’d be meeting as many as possible! Without further ado, here’s my list. I would love to meet Malorie just to say thank you for writing the ‘Noughts and Crosses’ series. It remains one of my very favourite series of all time, and unfortunately it’s one that too few people have read (outside of the UK at least). Controversial perhaps, but after years of not connecting with the ‘Twilight Saga’, I’ve finally fallen in love with it. I’d love to hear her give a talk on the vampires and werewolves, and especially where they ended up after the culmination of the series. I loved the ‘Alex Rider’ series when I was a child, and every now and again I still feel the urge to re-read one of Alex’s adventures. I also adore the fact that they were written primarily for a male audience, as any book that excites young boys is amazing! I’m actually going to be meeting Sarah for the first time (all being well) in two weeks, on her ‘A Court of Thorns and Roses’ UK tour! I believe the event is “a conversation with Sarah J. Maas”, in that there is a Q&A before the book signing, which should be really interesting! I’ll be sure to write a review of the event, so look out for that. Whenever I’m in the mood for an adult contemporary, Cecelia Ahern is my go-to author. I love the stories and characters she creates, and her books are just fun, quick and easy reads. I think she’d be pretty chilled out, hosting a discussion about her novels. As the author of my favourite trilogy, ‘The Hunger Games’, I’d love to meet Suzanne and have my books signed. I’m eagerly awaiting any future YA dystopian books she writes, as her characters are so developed and the scenarios are intricate, believable and harrowing. I love mythology, and despite only having read (at present) the first two Percy Jackson novels, I thoroughly enjoyed them. I think he’d be very interesting to listen to, discussing Greek, Roman, Egyptian mythology or whatever else he writes about in the future. I absolutely love mysteries and thrillers, especially Jack Reacher books, although at the rate Lee puts new novels out compared to the rate I read them, I’ve got enough to last me a lifetime! Every Reacher book I read I know I’m not going to be disappointed! Technically I’ve met Robert at an event in Harrogate in 2014, but any and all appearances he makes are welcomed by myself and countless others! I’m crossing my fingers for an event to promote ‘Career of Evil’ – the third Cormoran Strike book, due to be published this autumn – but I’m not holding my breath. Please, Jo?! Despite having met JKR once already (twice if you count her appearance as RG), she will always remain the author I most want to meet. I expect I will go to as many events as I can within the UK (which are few and far between) for as long as she continues writing books. I would absolutely love to meet Cecilia Ahern , I love her books so much most especially P.s I love you. Ha, I love that you separated both RG and JKR in this list. And that’s super awesome that you’re going to meet Maas! Not that I’ve read her books but any chance you get to actually speak to an author is definitely worth getting excited over! Separating them is the only way haha. I’m super excited to meet her, as she’s fast becoming one of my favourite authors! Wow we have really similar lists! I had Sarah J Maas, JK Rowling, Malorie Blackman, Rick Riordan and Suzanne Collins all on mine as well. 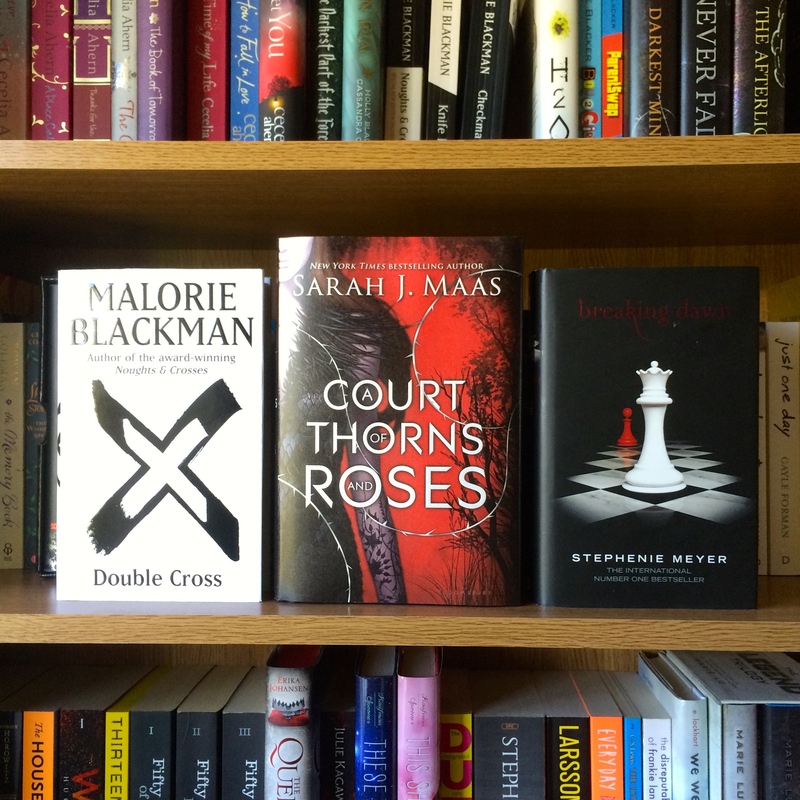 I’m so jealous you get to see Sarah J Maas, I’d love to but I can’t make it to any of her UK events this time. Ah well, I’m sure she’ll be back!